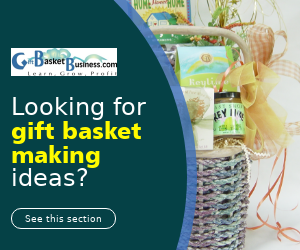 You’ve asked us many questions about making and selling gift baskets, or perhaps you’re just getting started. 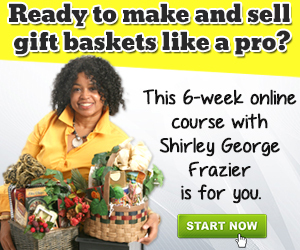 I’m Shirley George Frazier, your mentor and author of the best-selling books on gift baskets. Here are answers to your most-popular questions about this creative industry. 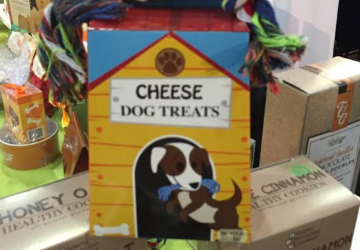 How do I become a gift basket designer? 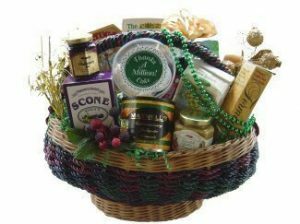 Gift basket designers are skilled in three areas before they enter this industry. They have creativity, patience, and determination. If you’re creative in sewing, scrapbooking, or other crafty endeavors, count that as your foundation for gift basket designing. It’ll help you smile as you make designs from the bottom to the bow. Patience is key to develop your basket-making craft. Videos, conferences and adult school courses are three ways that teach you the building basics. Believe me, patience will pay off in the long run. The library and the Internet are two common places to begin researching the industry. Library reference books will lead you to sources such as magazines, statistics and trade shows. Discussion boards and teleseminars are also available through websites and social media. Your gift basket business will have its share of ups and downs, and this is where determination is crucial. When I started my business, there were no resources, print or video, but I was determined to succeed. If you can’t get through the front door, come up the side. Did the prospect say “No” to your offer? Keep going until another person says “yes.” That’s what I did, and in time, the same determination will help you reach your goals. What are the most popular gift basket products? There are occasions where foods are not appropriate. For example, baby baskets include nail clippers, hangers, rattles, and bibs. Get well baskets contain interlocking or word puzzles, books, games, and an occasional request for fruit, which you can find at a local grocery store. Where do I buy products if I’m just starting? This answer depends on whether you have a business license or if you plan to buy from retailers or discounters because you aren’t yet registered as a business through your local town clerk or whichever department in your town issues business licenses. 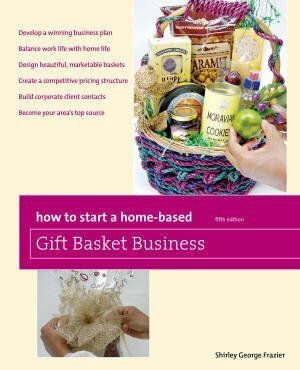 This process is explained in the Start a Gift Basket Business class I teach online, and you have total access to me in the class to ask specific questions not addressed here about gift baskets. If you don’t have a business license, you’ll find lots of foods and gift items at retail stores that you visit as a consumer. If you have applied for and received a business license from your town, that license qualifies you to buy products from wholesalers and distributors. Those are companies that sell items to business owners. When you buy from wholesalers and distributors, you buy products at very-low prices so you can make money with each gift basket sale. Your favorite search engine will help you find wholesalers in your area. As an example, if you live in Dayton, Ohio, type “dayton ohio wholesale suppliers” into the search engine to uncover sources. Lots of individual people and corporate executives buy gift baskets. Here are some ideas on who else buys. A word of caution – don’t go after all four buyers at one time. Test one or two of these buying types before trying others. A good way to start is by selling to individuals and to private practitioners, especially the ones who already know you because you buy their services (your dentist and doctor, for example). They already know, trust, and like you, and that’s a good position to be in when you start selling. How do I advertise if I have a small budget? Word-of-mouth advertising will be helpful as one of the first ways to get the word out. If your children attend elementary or high school, let teachers know about your gift baskets when you talk to them about your child (mention gift baskets when your main conversation ends). Do you attend a house of worship? Some of the congregation may be very interested in buying from you. 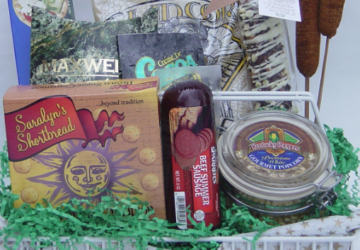 You can also set up pages on social media to market your gift baskets since it will cost you time rather than money. Create accounts on Facebook and Twitter in your business name, and begin sharing information about your gift baskets through those accounts. 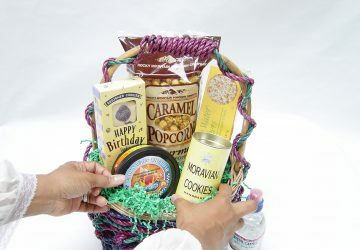 These are all terrific ways to start advertising, and many more options are explained fully in the Start a Gift Basket Business class. A good thing about the class is that you can take the first lesson free of charge. Then, if the class seems fun and exciting, you can enroll to get all 12 lessons. Every industry has its share of problems, and gift baskets are no different. Common problems include gift baskets delivered to incorrect addresses, customers who cancel orders, and deliveries not arriving on time. I must admit that some problems make you laugh and others make you shout, “I can’t believe that happened!” However, if you ask designers who have been in this industry for a long time, you’ll learn that the good definitely outweighs the challenges. 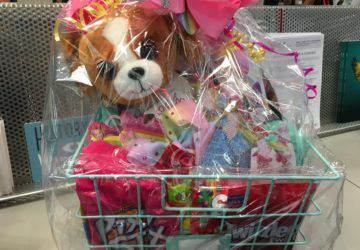 Are gift basket businesses selling lots of baskets on the Internet? Yes; however, this answer depends on how much you make yourself known online. Some designers do lots of marketing on social media and through their websites using newsletters and other marketing products. These designers also send information to customers by regular postal mail, and they also attend meetings and presentations in the corporate world. All of this helps to bring customers to their sites where orders are placed every day. Customers won’t come to you because you start making gift basket. You must reach potential customers where they live, work, and shop to get their attention. That’s how you become a successful gift basket designer. 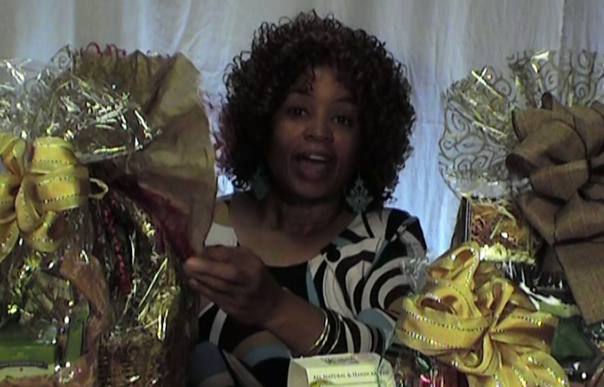 Want answers to more questions about gift baskets? Want support that is specific to your start-up concerns? Schedule an appointment to speak with Shirley.